Product #21373 | SKU ML300L-S3016 | 0.0 (no ratings yet) Thanks for your rating! 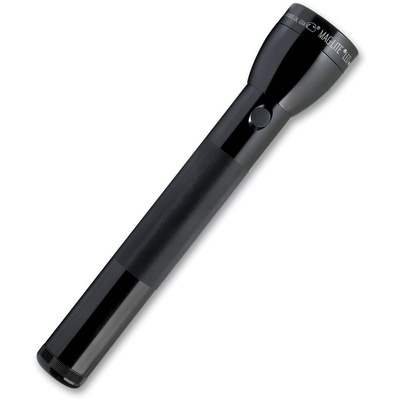 The black LED 3d Generation 3-Cell D Flashlight from Maglite is a focusable white LED light featuring 625 lumen maximum output, several power and lighting modes, a water and impact resistant aluminium housing. flashlight provides a momentary and constant-on operation, high, low, eco, and strobe output modes. The high output mode flashlight delivers 625 lumens of light for 16 hours, the low output delivers 143 lumen for 77 hours, and eco mode delivers 58 lumens for 117 hours. You can also change the sequence of these modes by setting the flashlight to General, Outdoor, Law Enforcement, Military priority settings.